Reindeer Wild Wins has a simple and standard layout with its five reels and three rows. Also, this slot makes use of a lot of standard symbols which range from nines to aces. Even though you might think that standard symbols are boring, it actually really works on this slot as it makes sure that you can have a clear overview. 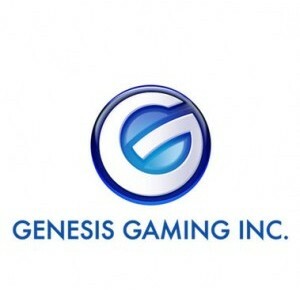 Furthermore, you don't have to think that it has just been a lazy move by Genesis Gaming, as they have also slightly changed all the standard symbols to match the overall themes. Besides the reindeer -which are the main act of the theme- you will find armed women, and a wild and scatter symbol. The wild symbol can substitute for any symbol except the scatter. That is because the scatter will lead to free spins. The scatter symbol is the name of the game written. Reindeer Wild Wins is a slot by Genesis Gaming which looks a lot like another game by the same developer: Savanna King. Also in this game, there are 1024 ways to win, and there is a special function concerning the wild capable of winning quite a lot of money. Both slots have five reels and three rows, however, the themes of these slots are completely different. The music on Reindeer Wild Wins fits nicely with the rest of the slot and the bellicose women are a pleasure to watch. How to play Reindeer Wild Wins? Reindeer Wild Wins has a simple and standard layout with its five reels and three rows. Also, this slot makes use of a lot of standard symbols which range from nines to aces. Even though you might think that standard symbols are boring, it actually really works on this slot as it makes sure that you can have a clear overview. Furthermore, you don’t have to think that it has just been a lazy move by Genesis Gaming, as they have also slightly changed all the standard symbols to match the overall themes. Besides the reindeer -which are the main act of the theme- you will find armed women, and a wild and scatter symbol. The wild symbol can substitute for any symbol except the scatter. That is because the scatter will lead to free spins. The scatter symbol is the name of the game written. Reindeer Wild Wins has free spins, which also are the highlight of this slot. Namely, during free spins, you can get the highest wins and payouts. When the scatter lands on your reels in, at least, three-fold, you are in luck. During free spins, the wild gets an additional function. Namely, it still substitutes all symbols, but it now also has a multiplier attached to it -just like on Savanna King. Moreover, when you have more than one multiplier, these multipliers get multiplied by each other. The biggest multiplier attached to a wild symbol during free spins is one of 4x. When you have three 4x multipliers, all three will be multiplied by each other. This results in one magnificent multiplier of 64x; this works as equals 64. Given this incredible multiplier, it becomes clear that the free spins are the main act of this slot. And to top all of this off, you can even win extra free spins during free spins, which gives you more time to cash like a wildman. Reindeer Wild Wins has 1024 ways to win, and thus, it does not have pay lines. Therefore, you cannot alter your chances of winning -which is basically what you do when changing the number of active pay lines. The biggest advantage of ways to win in comparison to pay lines is that it is much easier to see whether you have a winning combination. Namely, matching symbols on adjacent reels, starting on the first reel, always means a win. Especially a combination of armed women really pays out well. Additionally, there actually are quite some symbols of which you only need two for it to be a winning combination. As said before, you cannot chance your chances of winning, as you don’t have pay lines. However, you can, of course, change your total wager. To do this, you have to change the coin value. You can do this in the bottom left corner of the screen. This slot also has an autoplay function, the button of which is positioned on the left of the spin button. When pressing the Help button, you get to see the paytable on which you can find all the information you need about payouts and possibilities on Reindeer Wild Wins. Don’t forget to turn on the sound!